BOO! Grab a blanket and a friend and head to Atlantic Station’s Central Park every Friday evening in October. 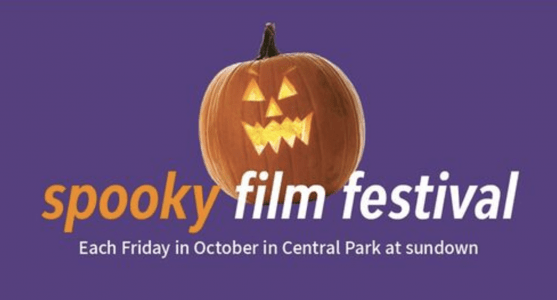 The tradition of movies under the stars continues with Spooky Film Fest. Grab a favorite ‘to-go’ order from any Atlantic Station restaurant – including the newly opened Salata – and pick your spot in the park. Movies begin at dusk when there’s just enough shadows to give everybody a scare. October 6 – “Hotel Transylvania” – bring the kids for this animated delight! October 20 – “The Ring” – a little more grown up fare! October 27 – “Hocus Pocus” – our traditional final movie of the season!